Local podcast aimed at the Bognor Regis community, featuring discussion, interviews and events. At the Syrup Cafe, Jamie talks to Alison Gilbert about her business, and her daughter's upcoming event 'A Show For Argentina'. At Syrup Cafe in Bognor Regis, Jamie talks to Medium / Clairvoyant Geraldine Swain. Jamie discusses the recently given opinion on Picturedrome, and rounds up some local events. 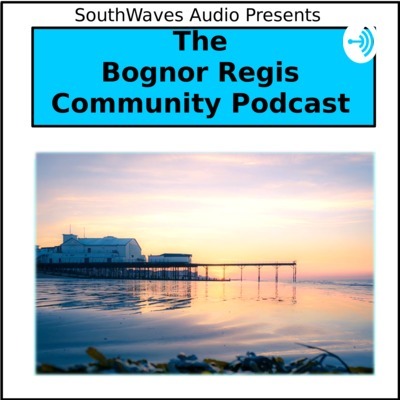 In this episode of 'The Bognor Regis Community Podcast', Jamie talks to Jordan from T-Bone Burger, and rounds up some upcoming local events.